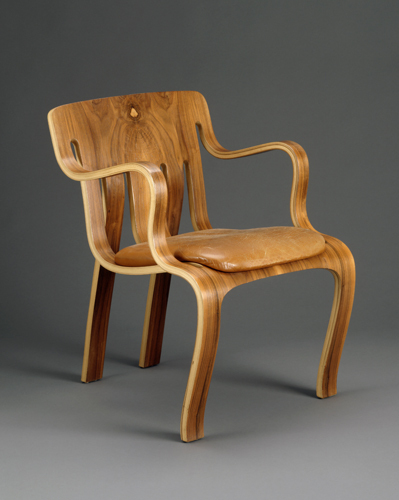 Inspiring Art Teachers to Explore Art History | Curator’s Corner: Furniture conforming to…..? 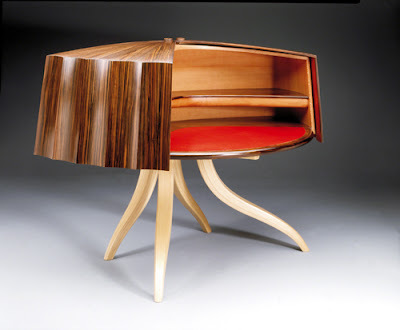 Traditionally, furniture was designed to conform to the human body and what was being worn at the time. That’s why we see low side chairs with no arms during the mid-1800s when women were wearing huge crinolines (hoop skirts) or bustles. During the Middle Ages (ca. 500–1100 ce) in the West, low benches were elaborately carved, included storage, and were used not only for sitting but also sleeping. 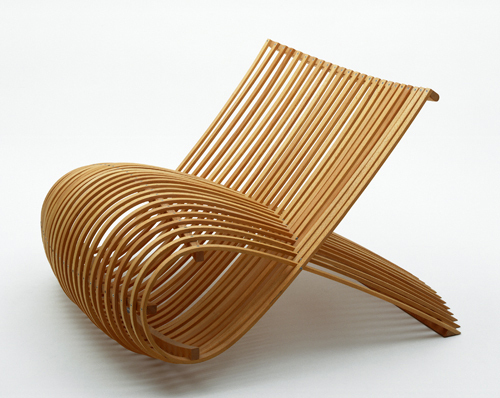 Furniture in China, Korea, and Japan combined utility with comfort. Since the Arts and Crafts movement of the late 1800s to early 1900s—which stressed aesthetics as well as utility— furniture has, in my mind, come to rival sculpture as an art form. aterials and coming up with a complete design. His use of laminates (thin pieces of bent wood) and his emphasis on the bent wood process— in which steam helps slowly curve a straight piece of wood—have had a profound impact on contemporary furniture designers. This beautiful desk combines a sophisticated laminate process (the “draped” top that belies the nature of the wood), and bent wood process in the legs. 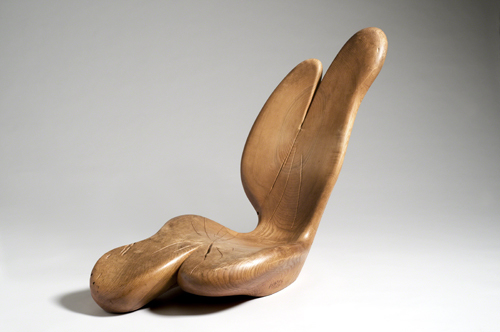 Many American museums encourage exhibitions of contemporary furniture design. The result is always exciting. I’m thinking of the shows I’ve seen at the MFA in Boston, the Museum of Modern Art in New York, the Art Institute of Chicago, and at the Philadelphia Museum of Art. 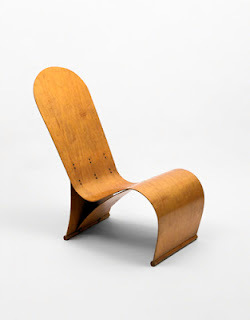 What always strikes me is that a lot of contemporary furniture design adheres to principles that were established in the late 1800s by Arts and Crafts movement artists, and then a little later by Bauhaus artists in Germany (ca. 1919–1933). 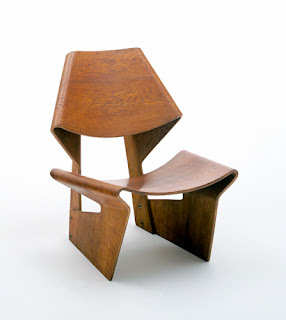 They believed that utilitarian objects, such as furniture, could be not only functional, but aesthetically pleasing. I think you’ll agree when you look at my choices of bent wood furniture! 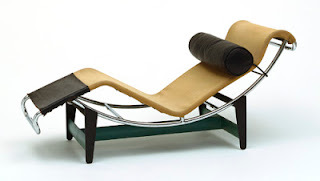 Ludwig Mies van der Rohe (designer, 1886–1969, Germany / United States) and Bamberg Metallwerkstätten (maker, firm established 1931, Berlin), MR Chaise Longue (model 104), 1931. Chrome-plated tubular steel with contour canvas cushion, 95.3 x 59.8 x 119.9 cm. Museum of Modern Art, New York. 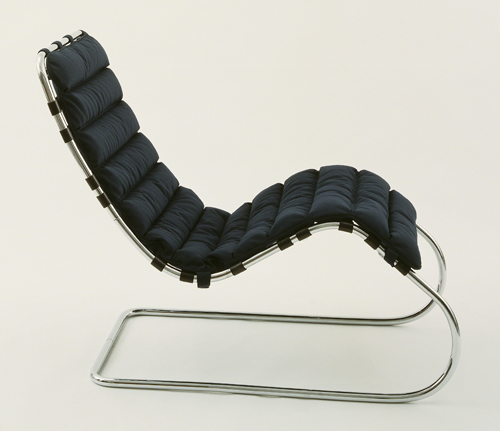 © 2013 Estate of Ludwig Mies van der Rohe / Artists Rights Society (ARS), New York. (MOMA-D0067mvdars). 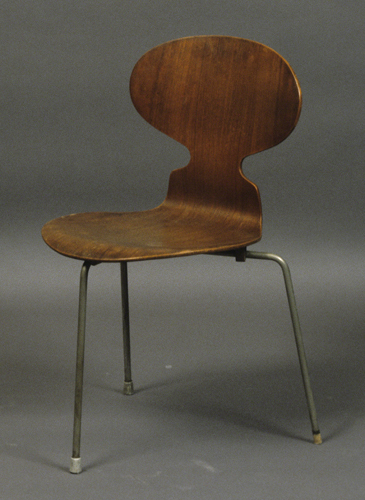 Studio activity: Design a chair that reflects contemporary life. 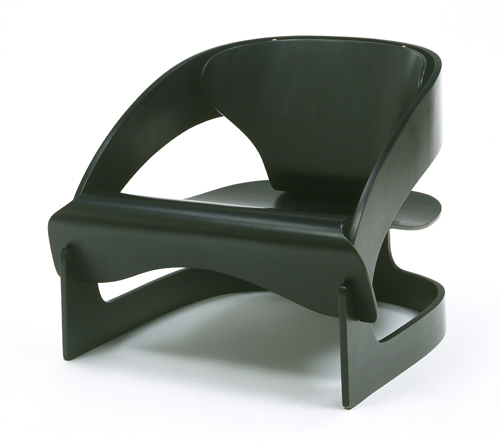 Consider how a chair could conform to the way people dress, sit, or rest. 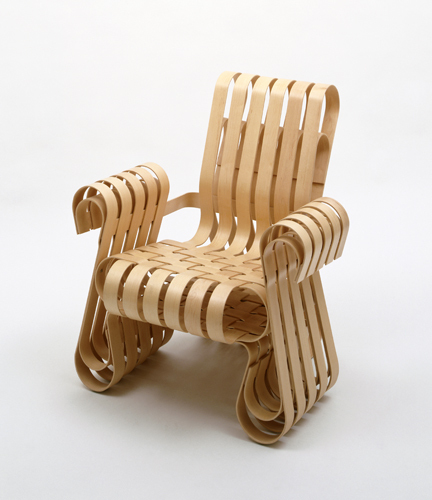 Use pencil, colored pencil, or color markers to design the chair. The chair could reflect the surroundings (be it urban or rural) or personal preferences—such as well padded or strictly geometric.